I don't want to pay for gas, so I bought a diesel. The nice thing was, I could use these cars for personal use. The bad thing was they all sucked. Seriously, even the 2013 Fusion with its Aston Martin looks, and 1.6 turbo motor was terrible. It looked ok, but it got uncomfortable on long trips, couldn't fit everything I wanted it to, and got crap gas mileage (my lifetime avg in the car is about 22mpg). Granted, it wasn't my money paying for the gas. It was also pretty unreliable (as was the Malibu, as was the 2010 Fusion). Since the lease was ending on the 2013, it was time for me to order a replacement 2016 Fusion, or get my own car. After not really paying for gas, maintenance, or insurance on a daily for the last 8.5 years, I decided to give up the company car, and get my own car. My company gives me a monthly, tax free allowance, and I can drive what ever I want, but I am on my own for everything. 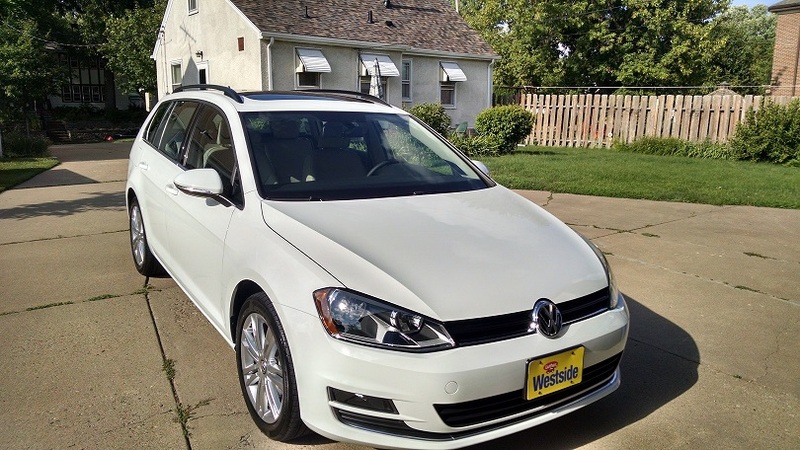 Friday I picked up a 2015 VW Golf Sportwagen SE TDI 6MT. It is SO much nicer than a Fusion. Let's hope I don't regret this decision. I've owned 2 other diesel vehicles before. A '76 Mercedes 240D and an '81 Mercedes 300TDT. Those were loud, stinky, and slow as hell. This will actually beat a UPS truck or city bus off the line at a stop light. I will slowly be modding this to my tastes, and probably use this thread to publicly state whether I made a huge mistake in giving up the company car or not. if I ever do move on from the hybrid, I hope to get one of these as well. 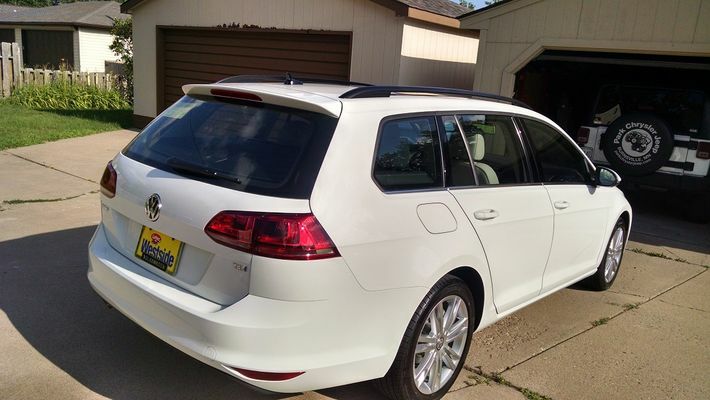 Great mpg, fun to drive, tons of space and loaded with goodies for options. Enjoy man. Car seats will fit nicely in the back seat! welcome back to fun car land. Considering the gas version as my next car. I will be watching this to see how you like it overall. Congrats. Looks great, Matt. I really dig the chiseled front of this generation. It's hard to tell from the photos, but did you opt for the lighting package? I never even considered the gas version. You can only get a manual TSI in S trim, I wanted SE (adds pano roof, fogs, 17" wheels, heated seats, premium sound and a few more things). 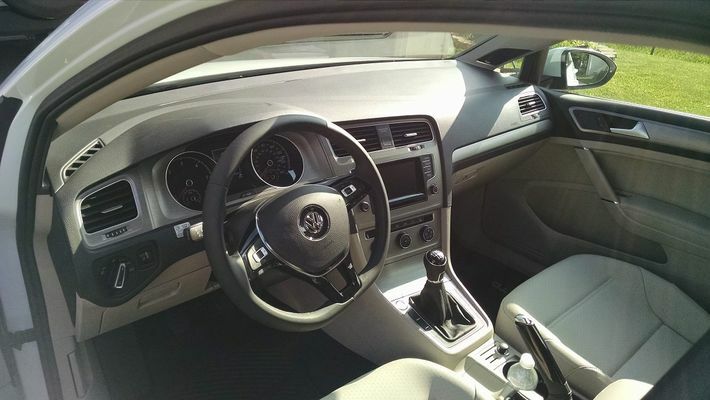 Plus the TSI manual is a 5 speed. I wanted the lighting package, but it is super hard to find. Luckily, this is a VW, so there are plenty of aftermarket options. I can upgrade the headlamps to aftermarket lamps similar to those available in the lighting package for half the cost of the package. (It adds HID adaptive lamps, and additional lighting in the interior). I would never consider a gas VW again at all based on past experiences. Diesel VW is the only VW now. I've driven these a couple of times they are fantastic! We've had great luck with our 2010 - I wish you the same! pretty much the perfect package options there. I think this makes 4 Candy White Sportwagons in the club now? Its "Pure White." Candy white isn't available anymore, this is non-metallic. Close enough though.